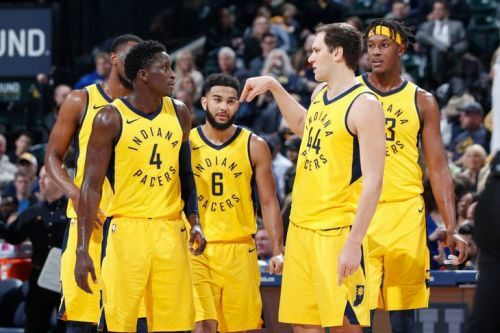 The Indiana Pacers were established in 1967 as a member of American Basketball Association (ABA) and in 1976 became a part of the National Basketball Association (NBA) after the pair merged into one. With three championships to their name, all earned in the ABA, the team had struggled for over a decade to make themselves a household team among the NBA's top guns. However by the mid-90's, they had become one of the Eastern Conference's top franchises, reaching the Conference Finals on five occasions between 94-00', winning two Central Division titles and advancing to the NBA Finals in 2000. The team has been a home to six Hall of Famers - Reggie Miller, Chris Mullin, Alex English, Mel Daniels, Roger Brown and George McGinnis - who played with the Pacers for multiple seasons. 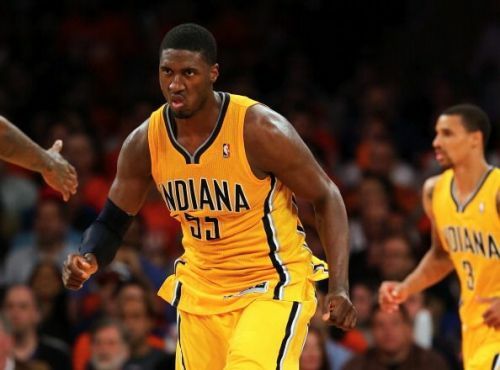 Roy Hibbert was drafted 17th overall in 2008 by the Toronto Raptors and was subsequently traded to the Indiana Pacers on draft night. With his arrival, the 7'2" center quickly became the franchise's defensive powerhouse - able to block shots ruthlessly while scoring on the offensive end too. The new decade saw the prime of Hibbert's game. As the team was building themselves into a Conference champion contender, he surged to the top with two All-Star selections in 2012 and 2014. Named part of the All-Defensive team in 2014, he finished second in the Defensive Player of the Year voting too. Fourth across the league in blocks in 12/13 and 13/14, he finished fifth in 11/12 as Indiana made successive runs to the Eastern Conference Finals in 2013 and '14. In seven seasons with the Pacers, Hibbert averaged 11.1 points, 6.8 rebounds and 1.9 blocks in 25.9 minutes per game. After moving from Indiana, he spent a year each with the Los Angeles Lakers (15/16) and Charlotte Hornets (16/17) before declaring his retirement in 2017 after the Denver Nuggets renounced their free agent exception rights in the off-season.